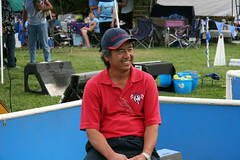 On May 23rd and 24th, 2009, Ballistic Racers participated in the U-FLI flyball tournament held in Ramona. It was a very successful tournament with six dogs making their debuts. On Sunday, Dennis ran with the team consisting of Zippy, Blast, Makaso, Rex, Herbie and Remy. Bailey and Indie ran pairs, while Molly, Jessie, Sasha, Chloe, and Jag ran singles. 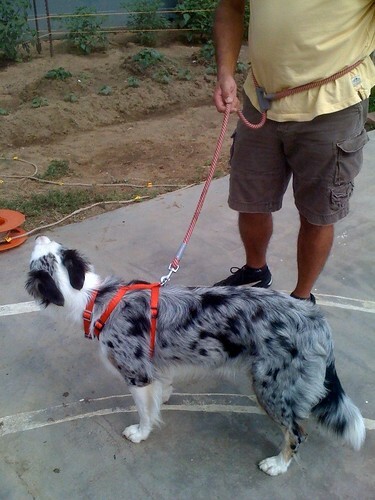 It was fun and exciting to see so many new dogs doing so well. San Diego Flyball- What’s So Fun About Flyball? 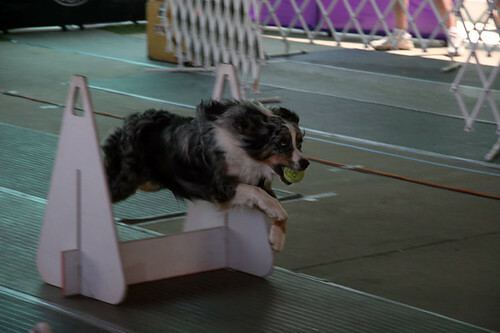 Flyball is definitely a sport for the dogs. Handlers are important too, but remember once you send your dog, he is running and jumping by himself on his way to catching a ball from a machine that is at least fifty-one feet away from him, and in most cases, even farther. Once your dog crosses the start line, he uses everything he has learned from practice to make the right choices as he races back to you. Your dog’s confidence will increase in many areas, not just flyball; it will transfer over to other dog sports such as agility (greater speed and drive) and to everyday life (calmer, with more self-assurance). One of the best things about flyball is that some dogs can learn it in a matter of months. At this point, your dog is obviously still a beginner and won’t be the best dog on the team, but he will have enough skills to race at tournaments. As he competes with the team, he earns points toward his titles. Team members work together to learn and support each other, as earning points can only be done with everyone’s cooperation. A tournament is quite an event, lasting an entire weekend. Our team member Linda calls it “flyball camping.” We do in fact, set up a camp consisting of several EZ Ups, which provide shade for our dogs. Dogs rest in crates (often with fans), and there are chairs and tables for people. Everyone brings a potluck dish to share, so we have a nice breakfast and a fantastic noontime barbecue. At the end of the day, winning teams usually receive dog toys for placing first, second or third, and points have been accrued towards that next title. As you can see, flyball tournaments are a blast! Our dogs go home tired and relaxed after a weekend of non-stop fun. As team members, we get to eat like kings and spend time with our flyball family of friends. Whether we are teaching a new dog to jump over his first hurdle, competing in a nose to nose race, or enjoying a delicious barbecue, we are always having fun with our dogs!